Extend Master Books' Investigate the Possibilities curriculum series with this convenient parent lesson planner that provides you with quizzes and tests for additional assessment opportunities. 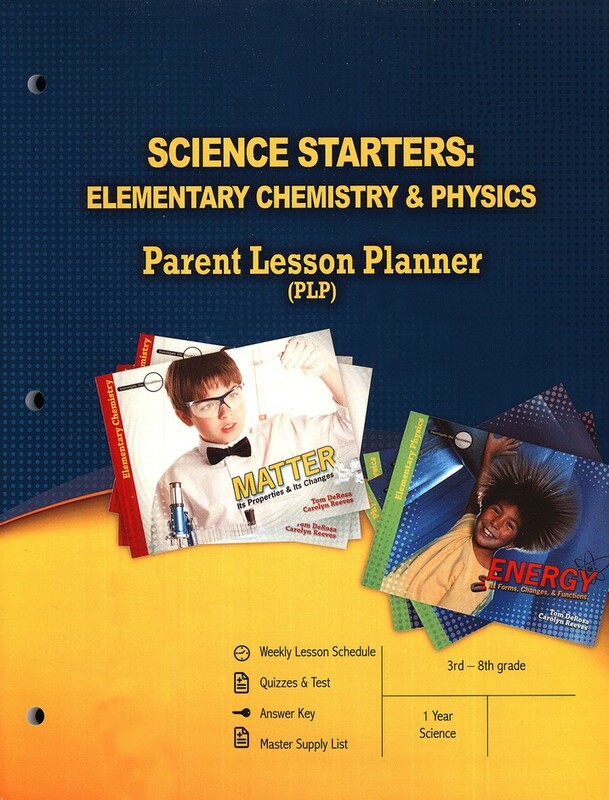 Covering a full year of quizzes and tests for Investigate the Possibilities: Elementary Chemistry: Matter and Investigate the Possibilities: Elementary Physics Energy (both sold separately), a weekly suggested lesson schedule, a master supply list, quizzes & tests, and an answer key are provided. Pages are grouped by type, rather than by lesson, so parents can easily remove tests and answer keys. Two different levels are provided for parents teaching multiple ages. Level 1 assessments are designed for grades 3-6, while Level 2 is designed for grades 7 & 8. Tests and quizzes include word bank/fill-in-the-blank questions, short answer, diagram labeling, and a bonus questions. By reading Investigate the Possibilities: Elementary Chemistry: Matter and finishing the quizzes and tests, students will learn about bubbles, water colors, salt, and the periodic table of elements. The Investigate the Possibilities: Elementary Physics Energy section of the course covers magnets, types of energy, and power concepts. This course covers 1 year of science (worth .5 credit) at the recommended schedule of 30-45 minutes per lesson, 2-3 days a week. One book completed per semester is suggested. Reproducible for homeschool families and small classrooms with under 10 students. Line-listed answer keys. Glossary included. NKJV Scripture used. Grades 3-8. Softcover. 96 perforated, three-hole-punched pages.